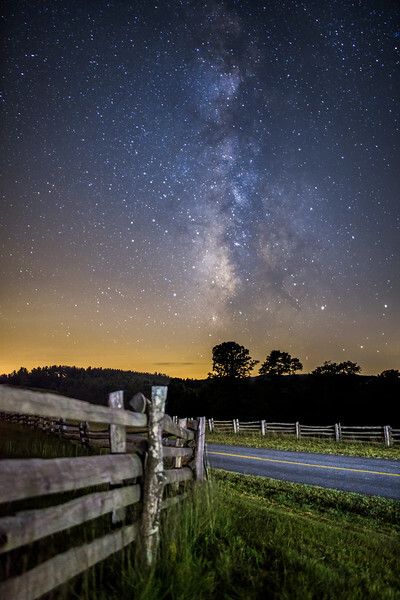 Wooden fences, the Blue Ridge Parkway, and the Milky Way overhead. in the Blue Ridge Mountains north of Boone, NC. Single 30 second exposure, light-painted with my headlamp.